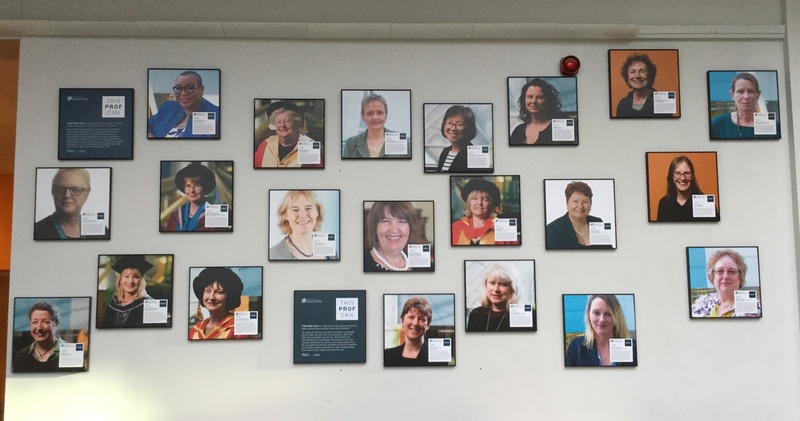 A Day meeting students at Bradford Uni….. | Which me am I today? A Day meeting students at Bradford Uni….. Yesterday I’d reserved on my calendar for some normality after all the chaos of the last couple of weeks. 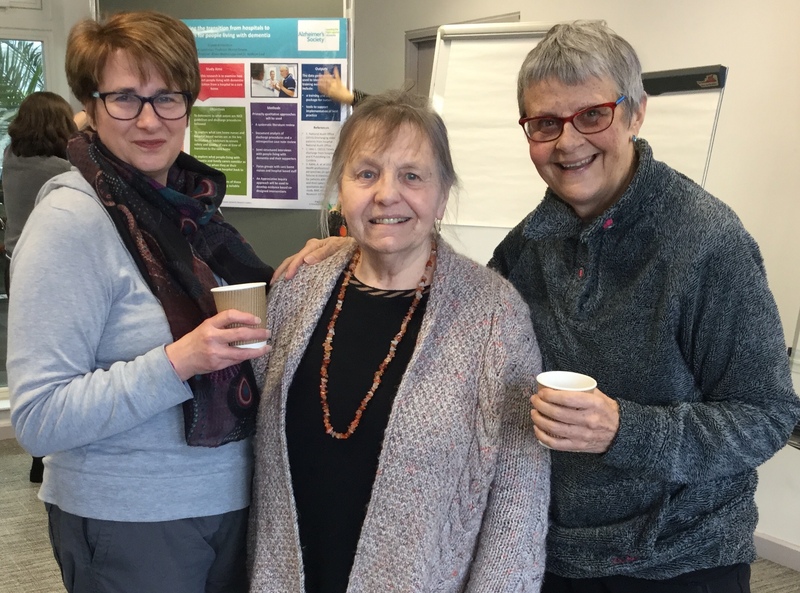 I was there as an Alzheimers Society Research Network Volunteer to hear the progress of the Doctoral Students at Bradford University, along with Sandra and Viv. I would also be meeting Barbara Woodward-Carlton for the first time since she gained her MBE. Barbara and Sandra (with me chipping in every now and then) are running an event in York in March around the students and others and many people with dementia, including my playmates from Minds and Voices – very exciting! However, back to yesterday. It was a silly o’clock start as the 3 of us needed to meet prior to the main event to talk about the Agenda for York and basically have a hug and a catch up. When I got to Hull I just had time to get a cuppa to warm my hands🙄 – any excuse……. The train from Hull behaved and was on time. The snow was very patchy and was non existent in Brough, just down the track😳 However it reappeared in Bradford and even though it was sunny, it was bitterly cold as I perfected my impersonation of Bambi walking up the hill towards the uni. I settled myself in the Atrium to wait for the others…. Soon I was joined by Barbara, who was also frozen……and then Sandra who was equally frozen. We went around and introduced ourselves as it’s a while since we last met. The Students, Ahklak, Suzanne, Denise, and Angela, Lecturers/supervisors and us were all there. Clare Mason was also there to talk about further PPI Involvement. Barbara chaired and tried to overlook the item on her agenda which says, ‘Celebration’ but we weren’t going to allow her to miss her moment of shining superstar and Murna gave her some gorgeous flowers. Then onto the main meeting. I said I’d turned down the offer to go in the hat to go down to Number 10 as Bradford Uni and normality was what I needed today…….The lovely Joy Watson is going to represent the 3 Nations Group and I’m sure will do a wonderful job. We spoke about writing an article re the evolvement and continual evolvement of the partnership which makes this so special. Our roles spill over into other capacities. Murna spoke about other opportunities – jointly presenting at conferences, etc……. Should research stray into activism? The blurring of professional boundaries was a really interesting discussion. 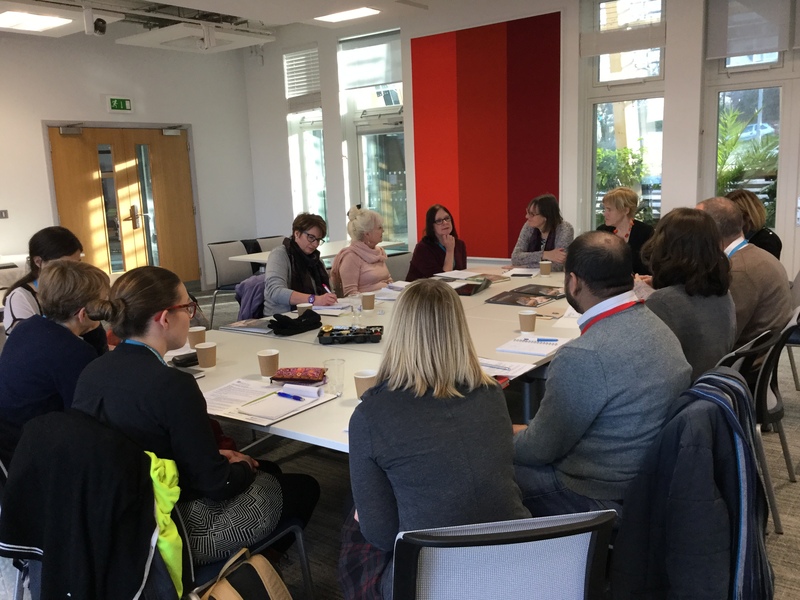 The richness of our group is such that it could show the general public that research isn’t purely academia – I said the public so often don’t see the connection between practice and research. If there was more awareness and partnership, research would then be seen differently by the public. 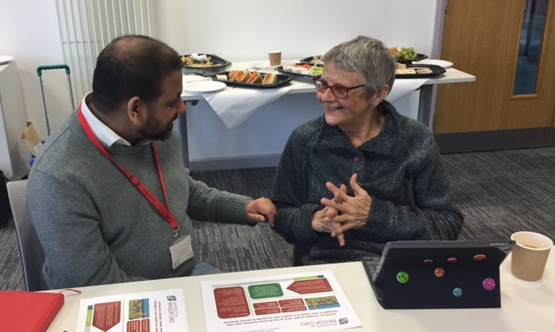 AKhlak was with me first – he is looking at How South Asians families cope with the changing needs in care and how they manage these complexities.. Dementia doesn’t descriminate so why do services? Fab research. Angela – a nurse by background is focusing on the role of the nurse in hospital and care Home setting in optimising the transition from hospital back to nursing home. There’s an assumption that people going back to care home are adequately looked after, which isn’t always the case. Suzanne – is looking at the quality of the medication systems and processes during transition between care home and hospital and in reverse. Safety, effectiveness and timeliness, efficiency and person centredness and equitability. Denise – finished off. Couples who live together at home – one with dementia and co-morbidities. How they go about daily activities, how daily life evolved and what do they feel about it. Denise gave them a camera and asked them to take a picture of their daily life for a month. Some people have never taken pictures so found it difficult. Some people only wanted to take pictures of the good days, which was interesting. Images are so powerful and enable people to bring conversation into relationships. Oh wow! The 10 minutes, went so quick as the conversations were so wonderful. They’re all so enthusiastic. 10 minutes was so little time but it enabled them to focus and it left me wanting to know more. Condensing their ideas in 10 minutes is a great skill to learn. 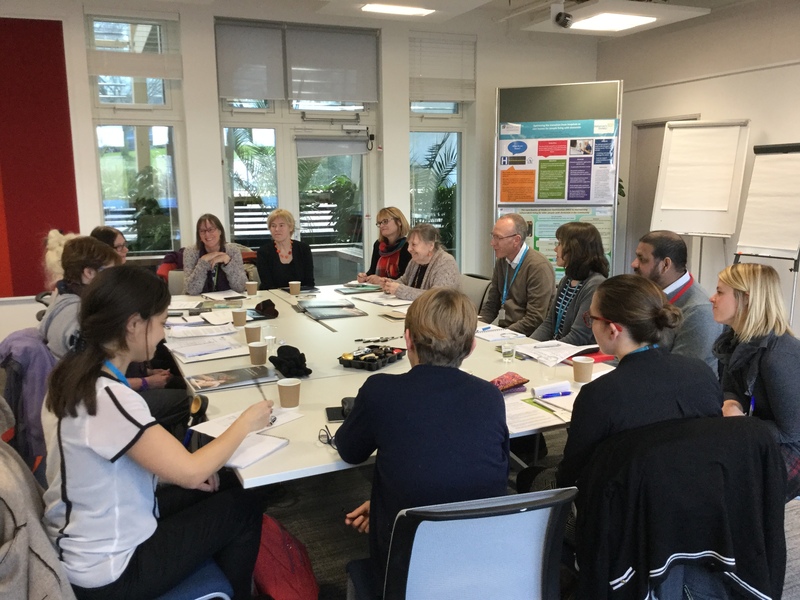 We then finished of with our research networks volunteers meeting with Prof Murna and Prof Jan.
We discussed the value of having lay people involved. It not only allows researchers to moderate their language and use everyday language but it also brings different valuable perspectives to the table. Many Universities struggle to see the advantage of full involvement with the public but the richness it brings to Bradford is invaluable – if only we could bottle it……. is the York event in March open to the public? Can we find out any more information about it? Great article. Really enjoy the fact you are right down the road from us. We’re just outside of Bradford. I’m glad that dementia/alzheimers is getting looked at close to home too. It’s true about people only wanting to portray the good days – My grandmother is adamant my grandad (diagnosed 5ish years ago) is perfectly well behaved when she is out in the open/at drs/at support groups. When she is with family it’s a different story entirely and can not tell us enough about what crazy things he’s been up to this week to annoy her with. Thank you for sharing this. Would have loved to have been a fly on the wall.